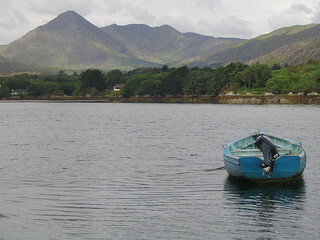 Most of my tunes are inspired by memories of my past life in Ireland. But if you don't believe in reincarnation, you are free to take it all as imagination. Anyway, some of the tunes are just Celtic and not specifically based on my past life. This song is inspired in the eyes of the beautiful woman I married in a previous incarnation. It was one of the few persons I recall that had “love in her eyes”. But beyond her eyes, this tune is based on her inner beauty. 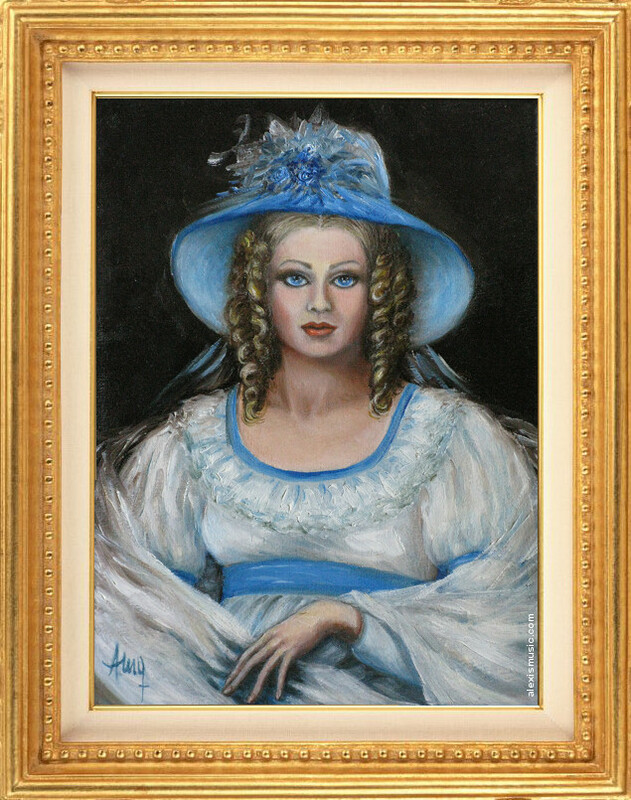 Elizabeth, by Ana María Gregorio. Click to see the whole painting. 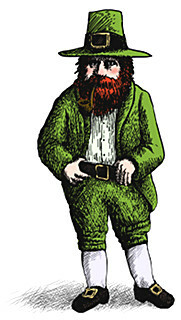 Illustration of a Leprechaun, by Jean-noël Lafargue. It's well known that Irish folklore includes gnomes and fairies. While listening at this theme imagine forest gnomes working and dancing, sometimes closely watched by the gnome king. This theme expresses the homesickness of an emigrant. Since I believe I lived in a past life in Ireland, I've also felt that nostalgia, even though that wasn't my only incarnation. 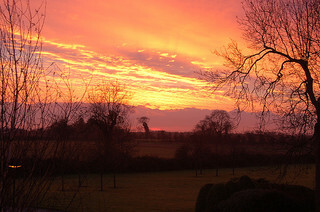 I just look at Ireland's landscapes and I feel that's “home”. Although sad, this tune contains the strength of the hopes of returning someday and the message that although we're physically very far, the land one loves still remains after all, in our memory and heart. Trumpets, Trombones, French Horns, Bassoon, Cello, Clarinets, Concert Harp, Fiddles, Flute, Oboes, Penny Whistle, Orchestral Percussion, Piccolos and Strings. 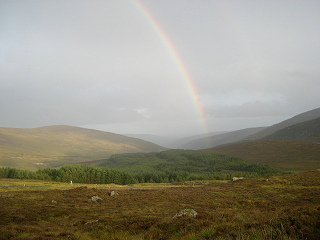 Rainbow in County Wicklow, Ireland by Jason Sturner. Click here to watch a video with a full low quality version of this theme on a slideshow of Irish landscapes. 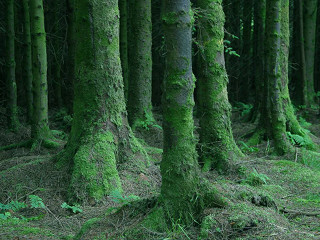 As the title says it, this theme transmits the feeling of walking through a beautiful, ancient and mysterious Irish forest. Who knows what you can find in it? Bodhran, Fiddle, First Violins, Celtic Harp, Low whistle, Penny whistle, Tambourine and Uillean Pipe. Did you ever feel sad for the terminal illness of a loved one and found out Nature's landscapes comfort you? This theme is inspired in one of the scenes I remember of my previous incarnation. Cello, Fiddle, Grand Piano, Penny Whistle, Piccolo, Pizzicato Strings and Strings. Sunrise over the Irish Sea from Newcastle, Co. Wicklow by Matt and Kim Rudge. This theme actually occurred to me while I was in the cinema watching the scene of Dancing with Wolves where John Dunbar was dancing around the fire. Maybe you remember that scene had music; but it made me think of a totally different tune inspired in a bonfire and primitive people dancing around it in a different place. 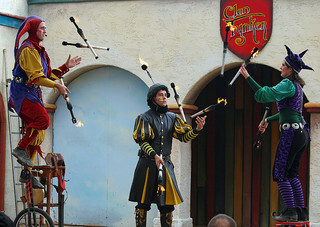 I imagined if that scene happened in Ireland with members of an ancient Celtic tribe dancing around the fire. 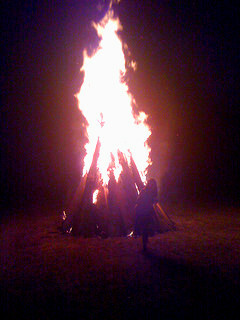 There's actually a Celtic celebration, Beltane, where people dance and light bonfires. Imagine the oldest man of the tribe represented by the accordion parts, dancing around the bonfire. And the strongest guy of the tribe, maybe the best warrior, appearing in the fiddle parts, showing off. BB Accordion, Three Fiddles, Penny Whistle, Percussion, Recorder, Steel Guitar and Strings. This theme was inspired at the beginning in the fight of the Irish for their freedom from British occupation. But it's also a comparison between war and peace. 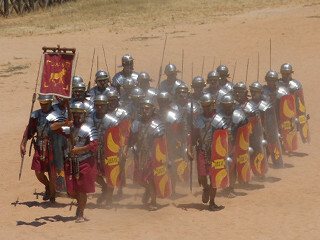 It could also be a tune based on the clash between Romans (the march) and Celts (the middle dance part). Fifes, French Horns, Glockenspiel, Celtic Harp, Grand Piano, Percussion, Strings, Timpani, Trombones, Trumpets and Tuba. 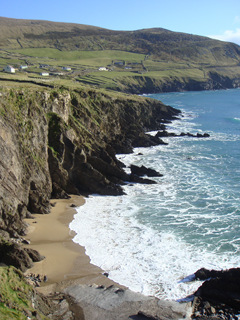 Beach at the Dingle peninsula. This song is inspired by the beaches of the Emerald Isle, but also in memory of that girl I loved. Both were walking along the sea at the foot of a cliff. She was upset with me for some reason and I followed her, trying to calm her. Regardless of those memories, this tune makes me think sometimes of a little girl playing on the beach. Flute, Celtic Harp, Oboe and Piccolo. I've listened at classical and baroque music a lot during my childhood. This theme really occurred to me when I was eight years old, while playing my recorder. At the time my dad jokingly told me I had created an Irish tune. But in the end it was no joke. As I lived in a castle in my previous incarnation in 19th century Ireland, this theme is very well related with the memory of the times when I came back home. 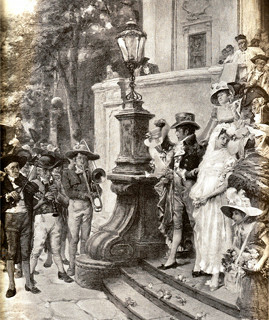 Although I wasn't a medieval knight, but a 19th century musician, at that time and place, stories with knights were common (e.g. Arthurian ones). So while listening at this tune, imagine a medieval knight coming home riding his horse while being greeted by the people. French Horns, Harpsichord, Percussion, Piccolos, Strings, Timpani and Trumpets. 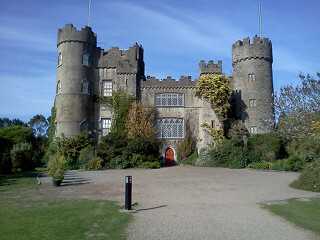 Malahide Castle, similar to the one I remember. 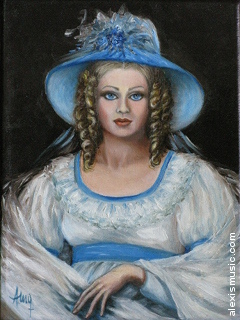 This theme is inspired in Elizabeth's sweet personality and her story. In the old days people didn't have as much entertainment options as now. This tune is dedicated to those jugglers and tumblers of ancient times that animated all people when they entered a city or hamlet. Bodhrán, Celtic Harp and Penny Whistle. The Clan Tynker, photograph by Alaskan Dude. Inspired in the beautiful lakes of Ireland. Clarinet, Flutes, Gothic Harp, Oboes, Piccolo and Strings. Inspired in the happy day of my marriage with Elizabeth. 1st. and 2nd. Violins, Accordion, Banjo, Bass Pizzicato, Two Fiddles, Celtic Harp, Penny Whistle. Castlewellan forest park by Ryan McDonald. 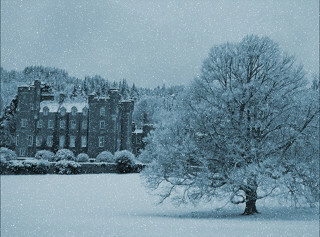 Ireland has its snowfalls sometimes and this tune is inspired in the look and feel of Ireland in winter. Quiet, cold, tough, but so beautiful! French Horns, Flutes, Celtic Harp, Strings, Piccolo, Oboe, Clarinets. Memories of Ireland has been recorded entirely in the digital domain, by using Harmony Assistant, VSTHost, FreeverbToo and G-Player (links open in a new window). Advanced Orchestra by Peter Siedlaczek. Hans Zimmer Guitars Vol II. Steinway Grand Piano sampled by the University of Iowa. World Traveler by Sonic Reality. Other free sampled instruments I found on the web, including a wonderful Celtic Harp by Jason Sommerlad. This page was last modified on August 27th, 2018. Unless specified, all content is © 2012 by Alexis Michel Golzman, all rights reserved worldwide. Some images are by flickr photographers, which are either public domain or with permissions for commercial use and modification.